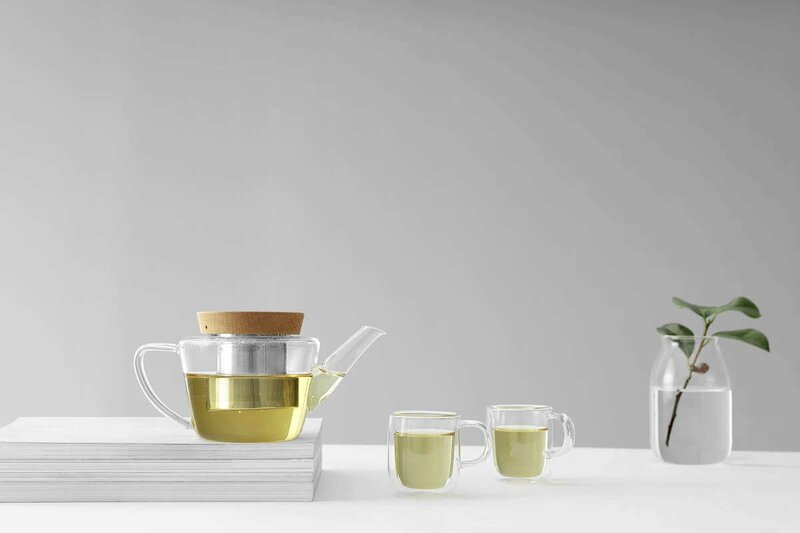 Our Infusion glass teapot effortlessly blends bold minimalist style with the comfort and warmth of natural oak. Glass and wood are two materials that bring a sense of ease and tranquility. Find serenity with this teapot. Let it soothe your soul. Size: L: 20.0 cm - W: 11.0 cm - H: 10.5 cm - Vol: 0.60 L / 20.00 fl. oz. 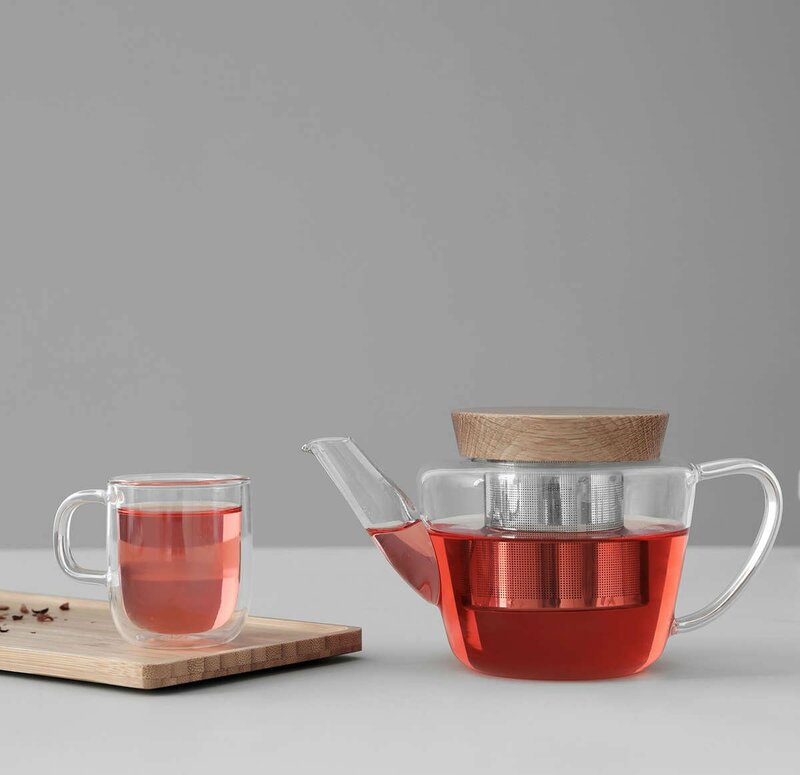 This teapot comes in two sizes, the 0.6 litre version will make two generous cups of tea. Perfect for sharing with a friend. The 1.2 litre version will make four large cups. Yes! All our teapots come with a fine mesh infuser made from our very own Immacular stainless steel. It is made for perfect tea brewing. To get the best life out of your teapot, the lid should be hand washed only. The borosilicate glass body is dishwasher safe. The cap of this teapot is made of beautiful oak. Oak is a dense honey coloured wood, which will age beautifully, gaining a rich patina with time and use. How long will a pot of tea stay hot in this teapot? 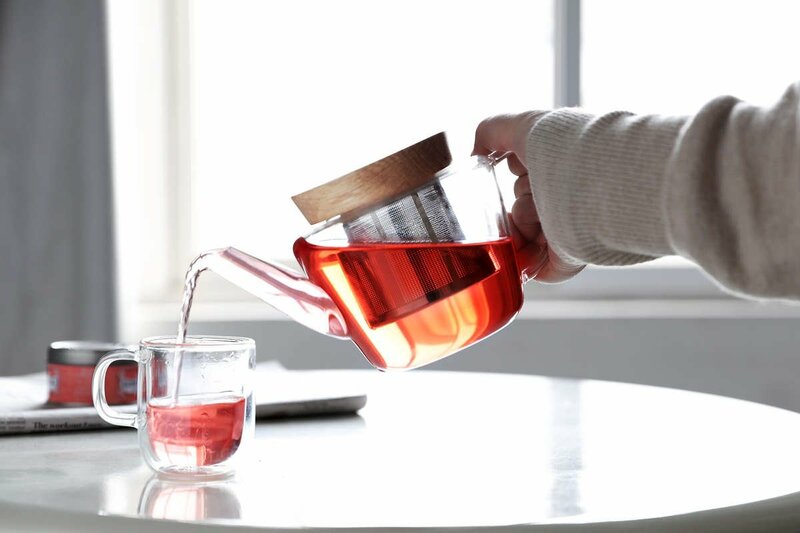 In the unlikely event your tea doesn’t get consumed immediately, the borosilicate glass body will keep your tea warm for up to 20 minutes.